Critically acclaimed! 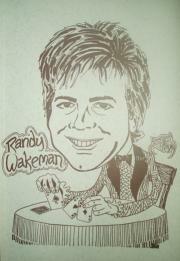 Oversized, beautifully hardbound edition of over 150 pages, containing Randy's best close-up magic. Illustrated by Bob Nelson, foreword by Frank Garcia. Fabulous routines! Randy's first book, in oversized spiral bound format. Magic from Randy and Ed Marlo, foreword by Marlo. 30 items, 84 8.5 x 11 pages. 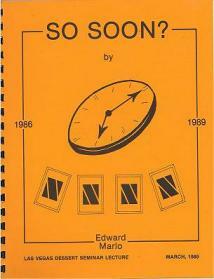 Fifty great close-up items, 112 pages in over-size 8.5 x 11 format, spiral bound. Special Ed Marlo section, illustrations by Bob Nelson. 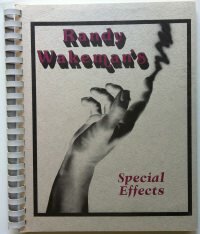 A book bursting with the quality of material you expect from Randy. 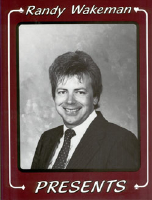 The core routines that Randy has performed and explained for his brother magicians throughout Europe, England, Japan, Australia, and New Zealand. Nicely perfect bound, and beautifully illustrated. 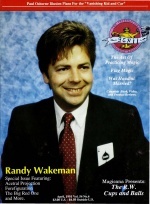 The April, 1991 issue of Genii Magazine, featuring Randy Wakeman and his close-up magic.